A biography of the woman who has become a worldwide phenomenon and a hero of the autistic community. 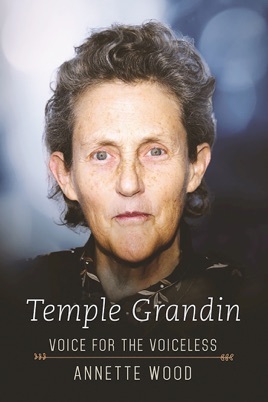 In this fascinating biography, Annette Wood delves deep into Temple Grandin’s life from childhood to adulthood. Wood tells of the trials and tribulations of the icon: the difficulties Grandin struggled with, and how she’s become a hero for the autistic community. She reveals what Temple has done since the acclaimed movie based on her life came out, where she is today, and what kind of difference she’s made. For the twenty-two million people worldwide afflicted by autism and the countless friends and family members who support them, this brilliant portrait presents an up-close look at the disorder and renewed hope for what the future could bring for those on all levels of the spectrum.